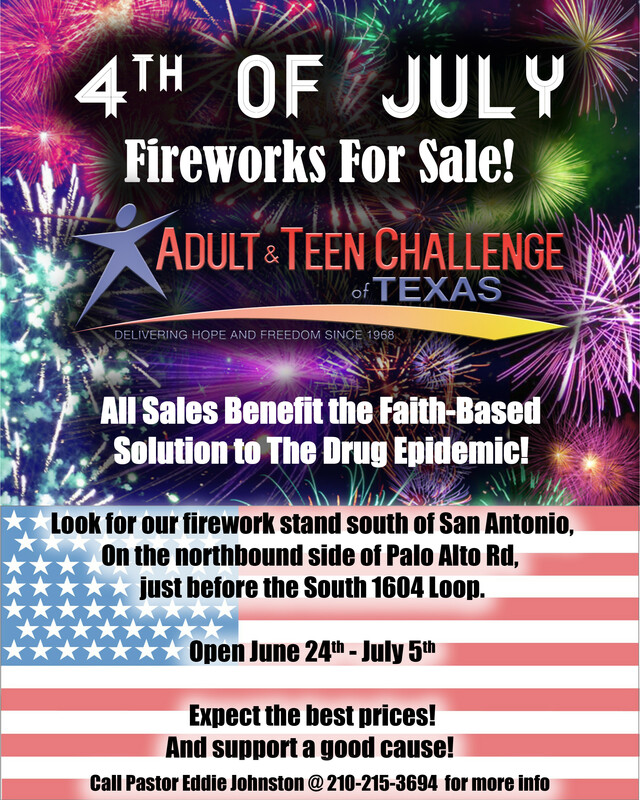 4th of July Fireworks for sale at the San Antonio Men’s Campus at Adult & Teen Challenge of Texas. The fireworks stand is located on the Northbound side of Palo Alto Rd, just before the South 1604 Loop in San Antonio. All proceeds benefit Adult & Teen Challenge of Texas. We can also help you in your search for other Christian rehabs, rehabs, Christian rehabs, or drug rehabs near me. Should you need help finding Christian rehabs, addiction rehabs, drug rehabs near me or Christian drug rehabs, please let us know.